Last Wednesday, social media was flooded with photos of siblings—it was National Siblings Day! Some of you may frequently remember your brothers and sisters with fondness and great memories. Others may be reflecting on the colossal efforts you have made to have civil relationships with each other. Siblings Day is a day of celebration, but it is also a day to acknowledge that not everyone has an easy time getting to a baby, let alone a sibling for their child! Infertility does not exclusively occur with couples who are trying to start a family for the first time. Some are still facing infertility, even after they have brought a child into their home. They may desperately wish to give their child a sibling but it ends up being more difficult than they realized. This is called secondary infertility. According to the Mayo Clinic, secondary infertility is the inability to successfully achieve pregnancy or carry a baby to term after previously having a child. 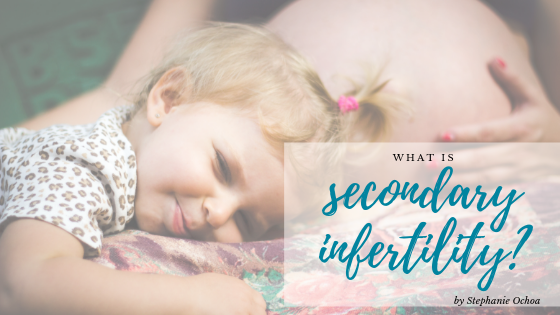 Secondary infertility can come as a shock to many couples. And there are several emotions that come with the diagnoses: grief, guilt, shame, and even depression. However, through embryo adoption, a couple can still have hope to successfully expand their family. Celebrating National Siblings Day does not look the same for every family. Siblings are more than just blood and DNA. There is no right way to grow your family—just look through some social media posts to see the countless unique ways families’ across the country celebrate their siblings. If you want more information on growing your family in a unique way, visit Snowflakes.org to learn more. Hello, hello! Yes, it’s me, your little embryo. Do have a moment to chat? It’s been sometime since you created me, and while I am super happy you did, but I was wondering what your plans are for me. Are you planning to increase your family and bring me into the fold? If not, what if it were possible for another family to bring me into their fold? Have you thought about that? Based upon your response and how long I’ve been here, I can tell you have been agonizing over what to do with me. I get it! I know you love me, and would have enjoyed having me be part of the “fam.” But let’s be real. Life is full of unexpected situations that come our way. For example, I bet you didn’t think you would be having to make this decision. Don’t feel bad, I have a great solution. Why not help me be adopted? Hey wait a minute, don’t dismiss the idea! Couples come in to the clinic where I am stored every week and leave teary eyed and dejected. For whatever reason they cannot have children of their own, and yet they are the sweetest most loving individuals. I feel bad for them. Honestly, if you place me for adoption, you wouldn’t have to keep paying my storage bill. I would not be feeling the cold anymore, and one of those amazing adopting couples would have the family they have always wanted. Plus, you would be the hero—my hero and theirs! To learn about donating your embryos to another family, visit Snowflakes.org. 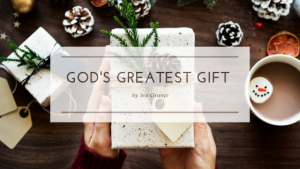 As we enter the Christmas season, there are so many things to be thankful for: the health of living in a bountiful nation, the happiness of having choices, and the hope of what tomorrow will bring. Yet as we ponder these things amongst our daily to do lists, nothing would seem quite as important, if we did not have loved ones with whom we could share this season of joy and celebration with. Hearing family and friends laugh, and experiencing their embrace as they express their gratitude for having received what their hearts desired, reminds me of the blessings I have received from my heavenly Father. He answered my prayer to become a parent. I longed to hold a little one in my arms and know I had been used by God to bring he, or she, into the world. What a wonderful blessing that would be…my little one is 25 years old now. I am forever grateful and amazingly blessed to be a part of such a miracle. During this season, perhaps you, too, have similar thoughts or feelings, desiring to become a parent, and welcome a baby into your loving arms and become part of your family. Whether you have remaining embryos that you desire to place with another couple for the purpose of adoption, or whether you desire to adopt embryos so that you can know the joys, and challenges, of parenthood, we encourage you to reach out to us. The Snowflakes Embryo Adoption Team are waiting to answer your questions. We wish you and your loved ones a Merry Christmas. Creating Lifebooks for our children is one of those things in life that some parents follow through better than others, like sending out Christmas cards. The desire is there, we’ve pictured the outcome, we understand the appreciation it will bring others, and some have gotten as far as making a Shutterfly account. But then, before we know it, it’s December 24th, December 25th, January 1st, January 30th and we’ve convinced ourselves that next year we will do better. I get it, life is busy, especially now that we’re parenting. But unlike Christmas Cards, that are eventually thrown away or tossed into a drawer, Lifebooks serve as lifelong tools for our children. It connects a child with their past. It helps them make sense of their experiences, the good and painful. It’s a vehicle that facilitates discussion about the often-messy circumstances leading to their adoption, helps navigate their grief of losses and past traumas, and aids to dispel magical thinking or false beliefs that somehow they caused the separation from their birth family. All of which, if handled correctly, contributes to strengthening a child’s positive self-identify. 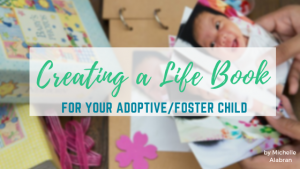 Through a quick internet search, you can find a lot of wonderful resources about creating a Lifebook for your adoptive/foster child. Most of the blogs and articles are better than I could ever recreate. Here are some of the highlights that I’ve learned from my thirteen years working in the adoptions and foster care field. Lifebooks are not reserved for the Pinterest parent. Lifebooks are not meant to be perfect or even pretty. They are filled photos, artwork, words, historic information and journal entries. No Shutterfly account needed. Use a book were pages can be added and rearranged, such as a three-ring binder. Do a little legwork. I know of one fost/adopt family whose daughter attended twelve schools in only eight years. To help fill in her story, they retrieved the names of the schools from former case workers and spent one summer visiting each school, taking photographs of the schools and asking the school offices for their daughter’s yearbook picture. Involved the masses. Contact important individuals from your child’s past and ask them to contribute notes and memories. These people may include case workers, foster parents, teachers, mentors, coaches, etc. Even if you don’t have many contacts from your child’s past, you must have had contact with a social worker who facilitated your adoption. Involve your child. The life book is for your child and in order for it to be a useful therapeutic too., they must contribute. When they are young it may be a drawing they made of their birth family. As they get older they can contribute more. They also must be allowed to handle it, carry it around, land ook at it when they please. Leave lots of blank pages to continue to document your child’s growth, development, school progress, hobbies, and relationships etc. The simple fact is there is no right or wrong way to make a Lifebook, but by not doing a Lifebook you’re missing a powerful way to positively impact your child’s sense of self and the way they view their past, present and future. It’s also a great way to deepen the parent/child relationship. The Christmas cards can wait until next year, your child’s Lifebook should not. 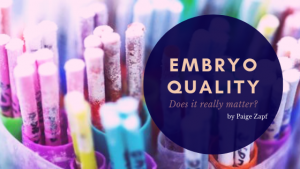 Embryo Quality: Does It Really Matter? There are a variety of methods used by medical professionals to grade frozen human embryos, to project the likelihood of pregnancy success. This often includes Preimplantation Genetic Diagnostic (PGD) and Preimplantation Genetic Screening (PGS) testing. However, research has shown that these tests are not always accurate. Even lower quality embryos, when thawed and transferred, may result in healthy babies just as higher quality embryos do. One Snowflakes family knows this first hand. This family adopted six embryos and chose to thaw all of them. Four embryos survived the thaw and two embryos were transferred. The remaining two embryos were re-frozen, but were deemed by the medical staff as “incompatible with life.” Unfortunately, the family’s first frozen embryo transfer did not result in a pregnancy. Against the advice of the doctor, the family chose to thaw and transfer the remaining embryos, believing all embryos deserve a chance at life, not just the “good quality” embryos. The family ended up pregnant with twins from those embryos! 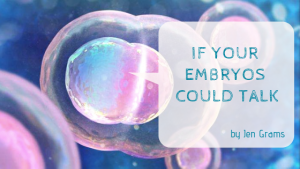 There are many embryos in frozen storage at this time who are not being used for family building purposes because they are deemed “low quality” or “poor quality.” Though these embryos could result in perfectly healthy children! To hear more personal stories from families who took the chance of life with lower quality embryos, you can watch our webinar Personal Stories: Snowflakes Beating the Odds. To learn more about embryo adoption and donation, visit Snowflakes.org. Why Do We Support Open Adoption? I’ve been working in adoptions long enough to see the significant trend toward open adoptions over the past forty years. I recall sitting in meetings in the 70’ and 80’s with an Adoption Committee in the first agency where I worked doing the matching of birth parents and adoptive parents. Actually it was a matching of child and adoptive parents because the couple would never meet the birth parents; it was just important that the child had features or background matching that of the adoptive parents. The adopting couple received a piece of paper with information about the birth mother and birth father, and in turn, the birth parents would receive information about the couple. First names only, if that, and perhaps some additional non-identifying facts. Then, the baby, who had been in foster care from birth awaiting the legal work to be done, would be placed in the arms of the adoptive family. Happy endings? Yes, usually more so for the family than the birth parent. Could it be better? Yes. Secrecy surrounding adoptions began in the 40’s and 50’s with good intentions. It was believed to protect all the parties involved. • The birth parents were protected from the stigma of pregnancy without the benefits of marriage. • The adoptive parents, often an infertile couple, would be protected from the stigma of raising an illegitimate child. They were protected from dealing with their infertility and from facing the differences between being a parent through adoption vs. being a parent by birth. Closed records also precluded the possibility of birth relatives seeking out the child, or heaven forbid, set them up for a potential kidnapping. Fear was the driving force. Adoptees have voiced their belief that they have the right to know more about their biological roots. Birth parents have said they want to know that their child has had a good life. If they haven’t said it out loud (which many could not in years gone by), they have thought it—every day. Adoptive parents have come to desire that connection for themselves and their child. They understand that a relationship with the birth parent does not diminish their role in the child’s life – or heart. Single parenthood, being adopted and infertility no longer carry the stigma they once did. Adoption professionals, lawmakers and counselors have listened to the voices and tried to make laws and policies that provide helpful answers for all. Underlying our effort at Nightlight is our confident belief that some level of openness is good and emotionally healthy for all parties. It can be in the form of meetings, visits, letters, pictures, texts, videos, Facebook page or any number of other ways to have contact. In order to be a good fit for individuals in the adoption triad, relationships must be customized, but all good open adoptions are characterized by open hearts, understanding and a good amount of trust. When birth parents and adoptive parents meet, there is a “realness” that appears. These are no longer people in a book, or birthparents who don’t care about the baby. They are real caring families who want to be parents more than anything meeting with a woman who is trying to make the right decision for her child in spite of her own sadness. Fears on both sides melt away, and relationships begin. As contact continues through the lifetime of the child, the relationship can change, as all relationships do. They may increase or decrease in frequency. Lives go in different directions, but the child will know that everyone in his life, whether contact is frequent or not, that he is loved by everyone in his world. We now have several years’ experience with openness in adoption and they have proven to have very positive outcomes. 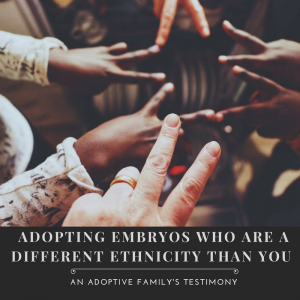 It seems that society at large and those who have not had a recent connection with adoption continue to believe that closed adoptions are the best. Having a relationship with birth parents is a scary proposition… “we’d really feel better if we could just go on down the road and pretend there are no other connections out there.” But the truth is there is another dimension to the child’s life. Adoptive parents’ lives can be greatly enriched by opening their hearts and getting to know the person responsible for bringing life to their child. Meeting and establishing a relationship is the greatest honor that can be given to a birth mother–to the person that has entrusted her child, and all her hopes and dreams for him to the care of the adoptive parents. It is an act that binds them together. 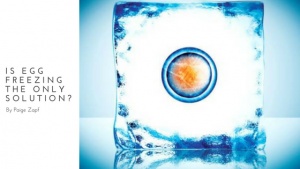 Is Egg Freezing the Only Solution? Egg freezing may be used to preserve future fertility for women. Mature oocytes (eggs) are harvested from a woman’s ovaries, flash-frozen (vitrified), stored, and are later thawed to create embryos using in vitro fertilization Recently, we came across a very informative video series in which a 29 year old woman records her egg freezing experience. Cancer or other medical treatments: Certain medical treatments — such as radiation or chemotherapy — can harm egg numbers and quality. Egg freezing allows women to potentially have biological children in the future. IVF: After an egg retrieval cycle, some of the eggs may be fertilized for a current pregnancy attempt and other eggs may be stored for future pregnancy attempts. Embryos are created on an as-needed basis. Fertility Preservation: A woman may choose to freeze her eggs when she is young, unmarried, and just beginning her career. Then when she is ready to begin having children, eggs will be thawed, fertilized, and transferred. The last reason is becoming more popular. One of the most important factors in successful egg freezing is the age of the woman. Egg quality declines as women age, so the earlier they are frozen, the more likely the eggs will survive the freezing and thawing process. But is the process, expense, time, and risk involved worth it? Egg freezing is costly, both financially and emotionally. Each egg retrieval cycle takes several months and some women may have to complete more than one retrieval in order to secure enough eggs for future use. The procedure to harvest eggs from the ovaries costs about $10,000, which does not include the cost of the medication and hormone injections the woman has to take for several weeks to stimulate her ovaries. After the embryos are frozen, there is an annual storage bill, averaging $600.00 a year. And when the eggs are thawed, fertilized, and transferred to the uterus through an IVF cycle, the cost ranges from $5,000 – $12,000. Of course, there is no guarantee a woman will be able to have genetic children in the future if they freeze eggs now. Yes! There is another successful option for achieving a pregnancy in the future without incurring the expense of egg freezing. It is called embryo adoption. Embryos that have already been created IVF cycles are made available to for adoption. The adopting family uses the embryos to achieve a pregnancy and give birth. There is no expense for egg retrieval. No painful procedures. It’s affordable. It’s proven successful. Anyone considering freezing their eggs should be aware of this option for future pregnancies. To learn more about embryo adoption, visit www.Snowflakes.org. Women who are interested in embryo adoption are clearly interested in becoming pregnant and carrying a healthy child to term. Did you know there is something you can begin NOW that will help protect your growing child in utero? “I want to make sure that all women in Northern Colorado who can become pregnant know about a simple way to improve their health to prevent brain and spine birth defects, such as spina bifida. Spina bifida is the most common neural tube birth defect in the United States affecting 1,500 to 2,000 babies every year. Spina bifida is characterized by the incomplete development of the brain, spinal cord and/or meninges (the protective covering around the brain and spinal cord). While children can lead active lives with spina bifida, it is a serious birth defect that can result in severe physical disabilities, and there is no cure for the disorder. Women can lower the risk of spina bifida in their future children by simply taking one pill a day: folic acid. 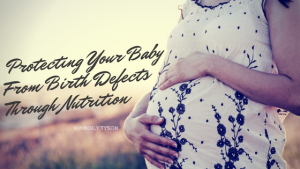 Studies have shown that adding folic acid to a woman’s diet significantly reduces the risk of having a child with a neural tube defect, especially if women start taking the supplement before they become pregnant. Birth defects of the brain and spine happen in the first weeks of pregnancy, often before a woman knows she’s pregnant. If a woman doesn’t begin taking folic acid until the start of her pregnancy, it leaves a short window for her and her baby to benefit from the supplement. Even if a woman is not planning to become pregnant soon it’s best to plan ahead and start taking folic acid today. The easiest way for women to incorporate folic acid into their diet is by taking a supplement every day. Folic acid is available as an individual supplement or as part of a multivitamin. Always check the label to make sure it contains the recommended 400 micrograms of the supplement. Folic acid can also be found in foods such as enriched breads, pastas and cereals. For the last decade, the FDA has required that manufacturers fortify these foods with folic acid. In addition to supplements and fortified foods, women can also eat a diet rich in folate which can be found naturally in beans, peas, lentils, oranges, asparagus, broccoli and dark leafy green vegetables such as spinach and kale. So ladies, start your folic acid regiment today to protect the baby you adopt through embryo adoption tomorrow! 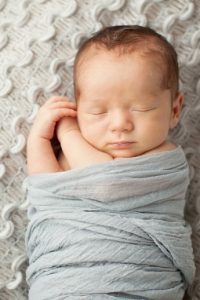 Learn more about embryo adoption at www.EmbryoAdoption.org. Our openness to adopting a child of a different ethnicity than our own really began years ago, when we knew God was putting Japan on our hearts. At the time, we didn’t realize that this growing interest in Japanese culture and love for Japanese people would have anything to do with adoption, let alone embryo adoption. Years later, as we prayed about whether God wanted us to adopt, we also prayed about who God would have us adopt. We felt led to consider the possibility of adopting from a family with Japanese heritage. The idea of adopting a child with a different ethnicity was exciting, but also raised some inevitable questions. Would our child wish we shared the same ethnic background? Would ethnic differences only add to the potentially complex feelings faced by the child? Confirmation came to both of us in different ways, through scripture verses and a sermon. We both felt God saying that when He puts a family together, ethnicity isn’t a hindrance. In a beautiful photo – from a sermon PowerPoint – of babies of all different ethnicities sitting together, God seemed to clearly speak to our hearts that He sees each one as His child, and He has a home for each child. We felt completely at peace from that point forward. God had answered our biggest questions and shown us His heart for adoption. We were so thrilled when there was a genetic family with Japanese heritage that was interested in us! We loved reading about them and knew right away that they were the ones for us. During the pregnancy and with the birth of our daughter, we have felt such a strong bond of love with her – a bond that would be no stronger had she been our genetic daughter. We are both so proud to be her parents. We are grateful to God for how He has put our family together, and every day we enjoy the blessing of our precious daughter. Help Nightlight Christian Adoptions Win $20K! Have you heard?! Nightlight has been chosen as one of 30 finalists in Comcast’s Innovations 4 Entrepreneurs contest! We need your help to be chosen as a one of six Grand Prize Winners that will win $20,000! We entered the contest to gain funding that can help make the process of adopting easier for potential parents. Not only would we be able to help potential parents complete the adoption process online, we’d help them prepare for their adopted child by introducing an online education process. In order to meet these goals, we need to gain access to some existing software programs, which can often be expensive. And with that, we’d like to be able to customize the software to include some embryo adoption-specific enhancements. At Nightlight, we’re all about helping more babies be born out of frozen storage with our Snowflakes Embryo Adoption Program. We also work to raise awareness about embryo adoption through the Embryo Adoption Awareness Center, which Nightlight runs. With more than 600,000 embryos in frozen storage in the U.S., our goal is to help them become the children they were meant to be, which we do by matching donor parents with adopting parents through an open adoption process. So how can you help? Visit cbcommunity.comcast.com/i4e/vote, and vote daily through May 13, 2016. Only one vote per person, per day will count to help us out, so help us spread the word through social media! 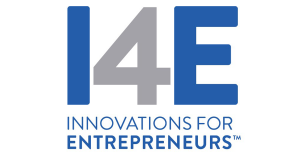 Learn more about Comcast Business’ Innovations 4 Entrepreneurs contest online, and see our full essay on the voting page. Thank you for your vote!